With the recent box office hits Brave and The Hunger Games, archery has become a very popular sport. I can see why. Archery is fun for all ages, except for the wee little ones. It’s accessible to most people, even those in wheelchairs. It can be enjoyed indoors or outdoors. And it’s a great upper body workout! 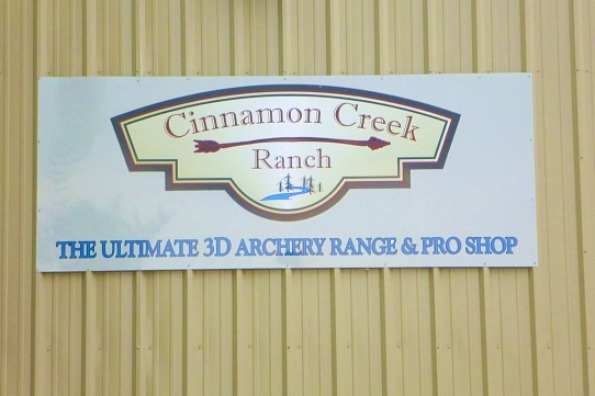 Our favorite place to shoot a few arrows is at Cinnamon Creek Ranch. 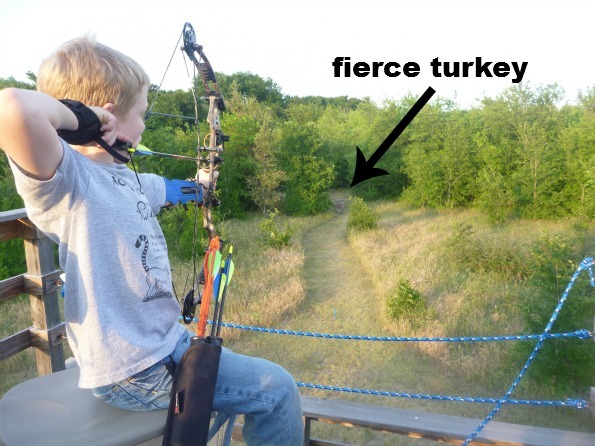 It is the premier archery facility in the state of Texas and it’s right here in Roanoke! And kids ages 12 and under can shoot for FREE! There are several indoor ranges as well as multiple outdoor ranges with cool 3D targets of deer, boar, mountain lions, and more. You really feel like you are hunting in the wild! Trust me, it just looks like my son is shooting at Bambi. It’s just a target. My sweet guy won’t even squish a fly but he loves to practice his aim and see his skill improve. She Is Dallas Info: Cinnamon Creek Ranch is open 7 Days A Week from 9:00 am – 9:00 pm. They are located at 13794 Old Denton Rd. Roanoke, TX 76262. Prices for the indoor field point range is $10.00/person. The Techno-Hunt (Video System)is 1/2 Hour – $8.00/person, 1 Hour – $10.00/person. Outdoor range fees are 1/2 Day – $25.00/person or All Day – $35.00/person. However, memberships are available to give you a great discount on range costs. And did I mention that kids 12 and under shoot for free on any of the ranges? Bows are available to rent but after a time or two out on the range you just might be hooked enough to want your own bow. They can help you with that as well. For more information, please call them at (817) 439-8998 or check out the Cinnamon Creek Ranch website or follow Cinnamon Creek Ranch on Facebook or Cinnamon Creek Ranch on Twitter. We use each archery outing as a time to review with our son the importance of safety but also patience and focus. I’ve been amazed at how my wiggly boy transforms into a calm and steady shot out on the range. Plus it is a real confidence builder for him to be able to really see his improvements in aim by measurable targets that can be scored. Cinnamon Creek offers a lot of variety in ranges so you can’t get bored with shooting at the same paper bulls eye target all the time. They have several indoor ranges but the outdoor ranges are the most fun, in our opinion. We usually start our outing in The Zoo which has about 30 realistic looking targets. 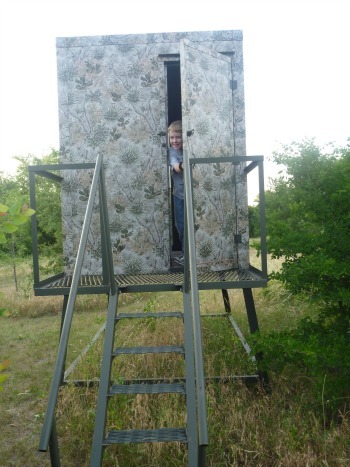 But there are other ranges on the property that let you climb up into a tree stand and shoot at the targets from high above them. The kids absolutely love this. Of course the blinds add an extra level of fun for my son as he pretends to be a heroic archer ready to sniper the mountain lion who is about to pounce on innocent victims. 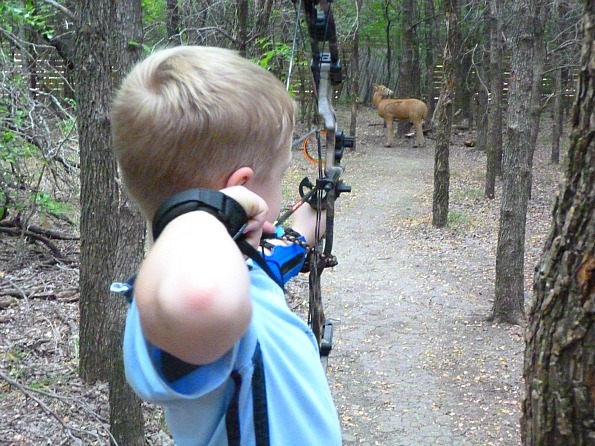 Safety is always the number one rule out on any archery range. But there is no reason you can’t add a little fun and creativity to your target practice!